Rabbi Edry has been teaching since 2006. In addition to teaching Torah, Rabbi Edry is the president of BHD properties Group. Prior to that he ran a successful luxury car rental group for tourists on Miami Beach. Even though Rabbi Edry is over 6’4”, he still can’t play basketball to save himself. He has a passion for cars and real estate. However, Rabbi Edry’s first passion is helping to bring young adults closer to Torah. Rabbi Edry is married and has six children. Rabbi, Filmmaker and Chef, Avi Levy has always had a creative streak since early childhood. Born and raised in Miami, FL., Rabbi Levy has a BS degree from Florida State University in Geography and Social Science, however he has made his livelihood as a filmmaker and as a chef. As a Ba’al Teshuva, Rabbi Levy had the influence of Rabbi Shlomo Carlbach as a youth. He spent many Shabbat’s at the same table as ‘Shlomo’ when he would spend the winters in Florida. As a filmmaker (Rabbi Levy’s first profession) he has received numerous awards including Emmy’s and Tellys. His documentary work has been seen on PBS, FOX Business and NBC. As a Rabbi, he attended Yeshiva l’Smicha with Rabbi Arieh Citron and received Smicha from Rabbi Avraham Wosner. 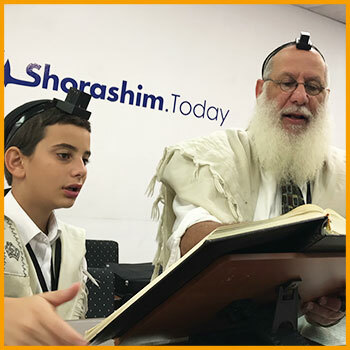 Prior to joining Shorashim, Rabbi Levy helped run the youth programs at both David Chai Shul and B’nei Sephardim in Hollywood. He has taught a weekly halacha class for adults and teens since 2012. Rabbi Levy has a reputation for being master storyteller. Rabbi Levy is also an Eagle Scout and is Scoutmaster of Shomer Shabbat Troop 36 in Miami. He is married to a true Ashyet Chayal and together they are raising three wonderful children. Both Rabbi Levy and his wife are Sephardic and trace their roots to Turkey. Mori Gil Grafi was born and raised in New York City. 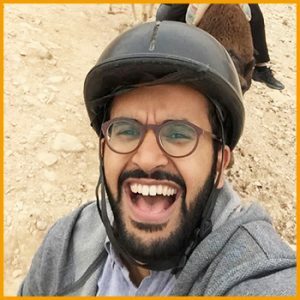 While still a youth, his family moved to Israel for a few years. Before returning to America, a lasting impression was imprinted onto Gil. Upon his return, Mori Gil attended public school but was able to find a way to go to Yeshiva for high school. 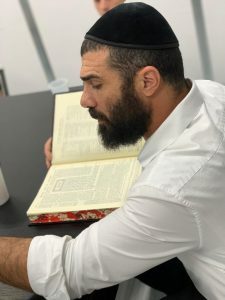 After graduation, Mori Gil took a sabbatical and returned to Israel to attend Yeshiva for an entire year before returning to get his Bachelor’s Degree from Baruch College in New York. 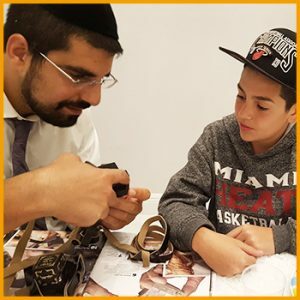 While in New York, Gil established a learning program for eighteen teenagers every Shabbat at Ohr Torah Synagogue. In 2015, Gil moved to Hollywood Florida with his wife. On his first Shabbat in Florida, Mori Gil met Shorashim’s president Shlomo Sibony. They started learning together at Gil’s house. Because of Mori Gil’s passion and ability to make Torah come alive, that class steadily grew. Shlomo then introduced Mori Gil to Rabbi Edry and Gil was asked to join the staff at Shorashim. Other than Torah and real estate, Gil enjoys playing sports. Mori Gil and his wife have one daughter but are looking forward to growing their family. Amram David Uzan was born and raised in America, at the age of 18 Amram joined the IDF, and was a Krav Maga instructor. “It was in Israel where I first started seeing reality for what it is. I witnessed firsthand that it’s not the might of the sword but the strength of the tongue that can move mountains.” says Ami. After finishing his time in the IDF, Ami pursued a career in music and worked in Hip-Hop as an engineer and composer. However the world of Torah called louder than the beat of drum machines and Mori Ami began to seriously delve into the words of HaKodesh Barachu. After a few years, he moved back to the States and settled in his childhood home of Hollywood, Florida. There he met Rabbi Edry and found himself being drawn into the mission and energy of Shoashim. Ami has a unique way of connecting with the boys of Shorashim. He motivates, educates and inspires.